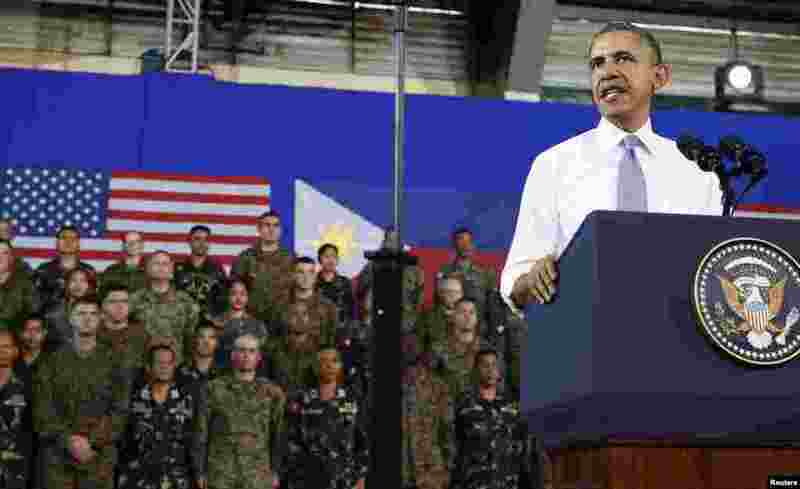 1 President Barack Obama speaks to military troops at Fort Bonifacio, saying a new military pact signed with the Philippines on Monday, April 27 granting a larger presence for U.S. forces would bolster the region's maritime security, Manila, April 29, 2014. 2 President Barack Obama states during a joint news conference with President Benigno Aquino III, that a 10-year agreement signed Monday, April 27, will give the U.S. military greater access to Philippine bases, helping to promote peace and stability in the region, Malacanang Palace, Manila, April 28, 2014. 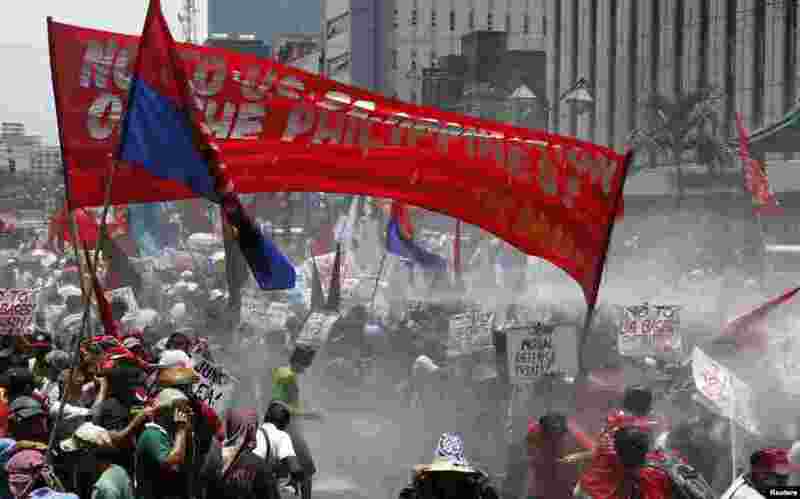 3 Police use a water cannon on "Bayan Muna" (My Country First) activists who tried to march to the U.S. embassy protesting President Barack Obama's visit, Manila April 29, 2014. 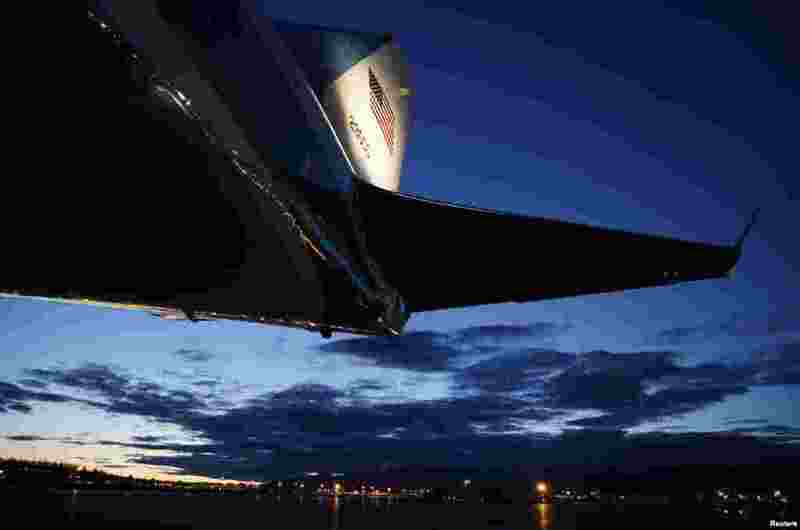 4 The tail section of Air Force One is pictured on the tarmac at Elmendorf Air Force Base outside Anchorage, Alaska, as President Barack Obama stayed onboard during a refuel stop on his return to the United States from Asia, April 29, 2014.